Liverpool’s Yossi Benayoun Agrees Chelsea Deal? 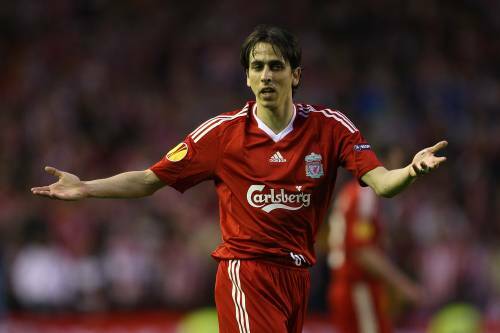 Reports are coming out of Israel that Liverpool’s murine midfielder Yossi Benayoun has agreed terms on a four-year deal with Chelsea. According to the rumours, Benayoun will undergo a medical at Stamford Bridge during the next couple of days before completing a £6 million switch shortly after – as a direct replacement for out-bound winger Joe Cole. Well, what do you make of that then? So Mr faceache Benayoun, you turned out to be exactly a rat – leaving a sinking ship as soon as things start to go wrong instead of staying put to help. Well sod off then Ratface. At least us Pool fans dun have to put up with the agony of seeing your ugly face in a Pool shirt again. That honor goes to Chelsea fans who will suffer regular vomit attacks when you turn to look in their direction. we”ll have joe cole at anfield then!